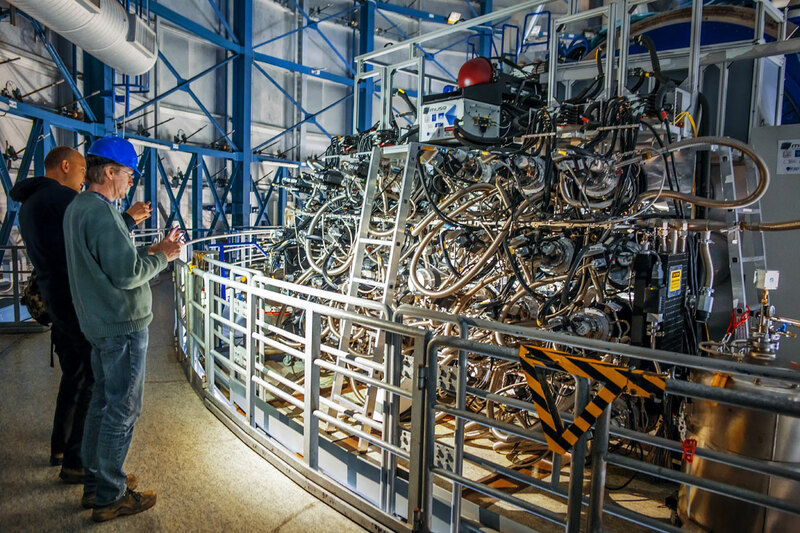 ESO Supernova Exhibition — How powerful is spectroscopy? Spectroscopy has revealed the expansion of the Universe, the chemical composition of stars and nebulae, and the existence of exoplanets. Galaxies galore: Each vertical strip in this image contains the faint spectrum of an individual galaxy, while the bright horizontal lines in each strip come from the Earth’s atmosphere. Atmospheric fingerprints: When an exoplanet transits in front of its host star, gases in the planet’s atmosphere produce tell-tale lines in the star’s spectrum. 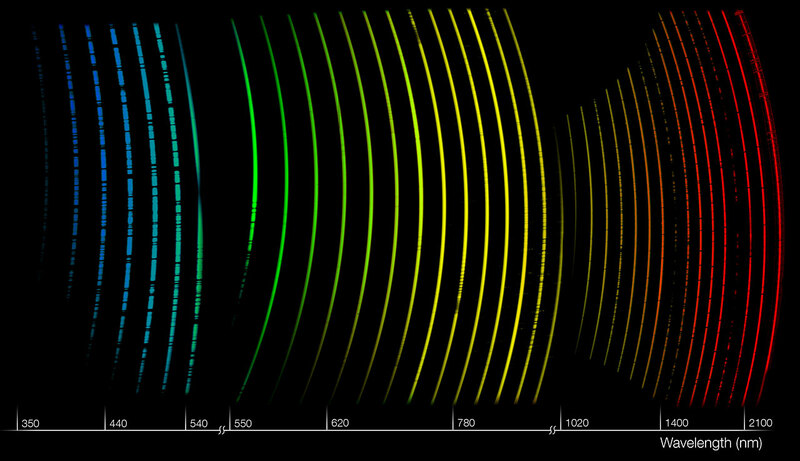 Taking the spectrum of a single astronomical object used to be a very time-consuming process. But with the advent of sensitive electronic detectors and ingenious multi-object spectrographs, spectroscopy has become a much more powerful technique. The latest generation of instruments can even provide spectral information for every single pixel of an astronomical image. Astronomers expect spectroscopy to detect biosignatures – possible indicators of biological activity – in the atmospheres of Earth-like exoplanets. Musings on spectroscopy: The Multi Unit Spectroscopic Explorer (MUSE) at ESO’s Very Large Telescope provides spectroscopic information for every pixel in its field of view. 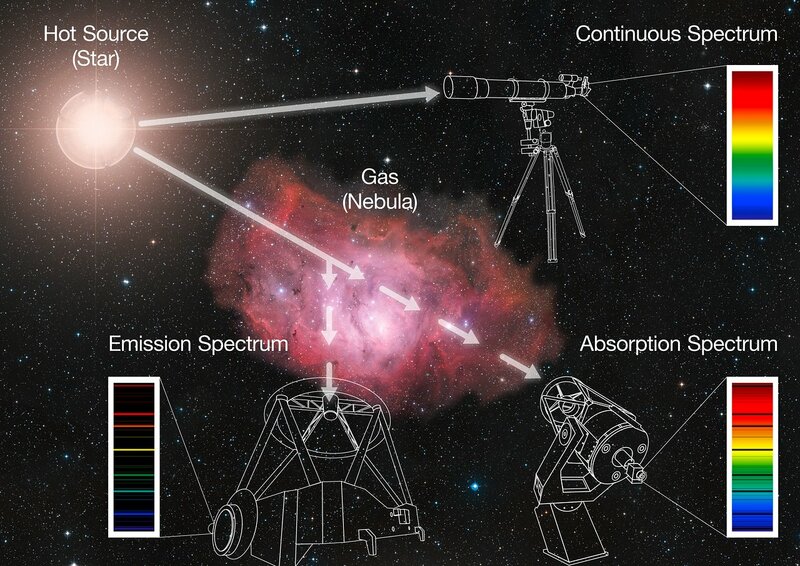 Lining up: Hot, glowing gas produces bright emission lines, but cooler gases leave dark absorption lines in the spectrum of a luminous background object. 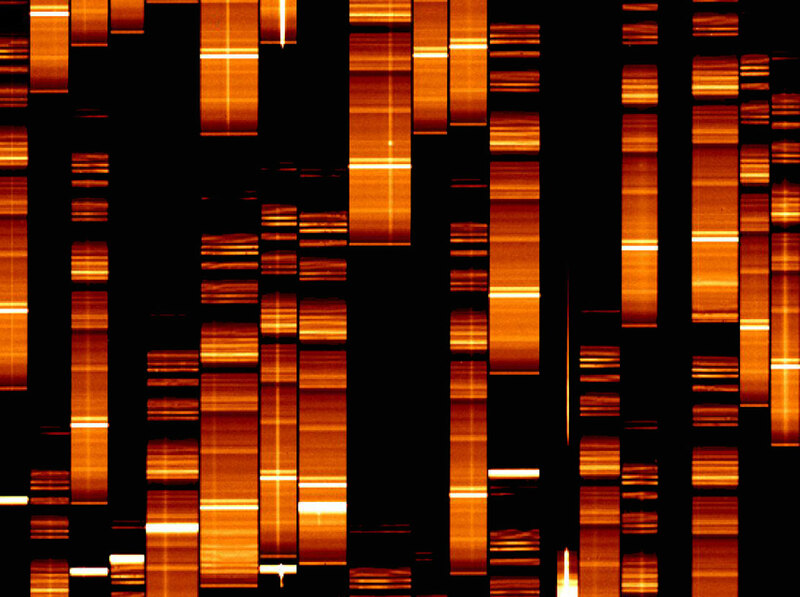 A selfie made by your friend may look nice, but their DNA can tell you more about her. Likewise, the spectrum of a star or galaxy contains more information than a beautiful photograph.